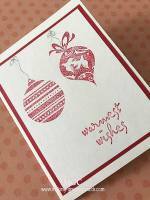 Greeting Cards Blog Nov 2005 - Read all my blogs in November 2005 here. I have added more cards submitted by readers of www.making-greeting-cards.com. 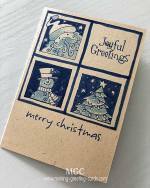 One new addition is Ying Pang who has submitted a few of her own handmade cards for the Readers' Cards Pages. 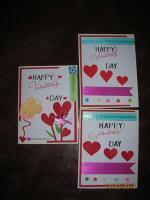 You can view her cards here. Jeanette Morgan has also added more of her creations. To see the cards just click here. More readers are sending in their cards to put up on the site. If you are one of them, please do be patient with me for it's taking me a bit of time to put them up. Moving house is no fun. I have moved and am now settled into my new home. It's a terrace house with an attic. Lots of space so I'm able to dedicate one room to my card making and another just to house my workstation, craft magazines, and audio visual stuff. 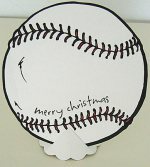 I really hope to get down to making more cards and also adding more contents to this website. And I'll need to start on my Christmas cards this week.